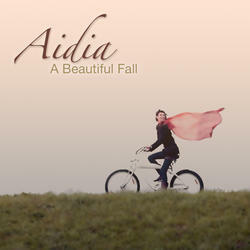 Take a slow walk through the autumnal colors with Aidia's soothing music. Following up on her beloved albums "In Quiet Moments" (2010) and "Sweet Dreams" (2017), Aidia returns with this beautiful new collection of music for piano, strings, flute, harp, and guitar called "A Beautiful Fall". As an added bonus, this new CD release also includes tracks from "In Quiet Moments" and "Sweet Dreams", which were previously only available as digital downloads. There has been high demand from Aidia fans for these tracks to be available on CD. Over 60 minutes of beautiful, heartfelt music - first time on CD!